Material paper Craft printing, hot stamp OEM Welcom e Main products 1. wedding card, gift card, invitation card, handmade card, etc. Our products are widely recognized and trusted by users and can meet continuously changing economic and social needs. We welcome new and old customers from all walks of life to contact us for future business relationships and mutual success! 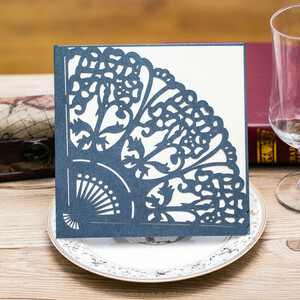 Wedding Stationary Cards. Pocket Invites. 1. 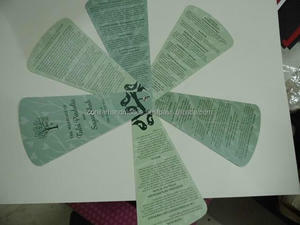 Item Hot sale fancy eco-friendly wedding invitation card fan Material Art Paper, Fancy Paper, etc. And specilized in packaging and printing for nearly 10 years. It has abundant resources, convenient transportation, and professional design team. We can produce as per customers design and packing requests. - Fast Delivery: Most favorable as we enjoy excellent cooperation with forwarders. We provide top quality material, avantgrade style, premium service to customers. 2.Competitive minimal order quantity You will have more opportunity to touch our quality since we offer competitive MOQ for you. 3. On time delivery On time is guaranteed through our standard process management system, We are 100% factory and produce all of your goods directly, all the quality and delivery time can be control perfectly. 4.Quality guarantee From RFQ to PO , from raw material to final products , from delivery to documents , every step are reviewed by our well trained quality control staff to make sure for your satisfaction. It is our pleasure to serve for you with excellent communication and super quality products, Welcome your visiting! 4. Quality control Every single piece of product, every production, procedure is inspected and controlled before packing the goods into export carton. 5. After sales service provided Besides, after sales service is necessary for more understanding for your needs. 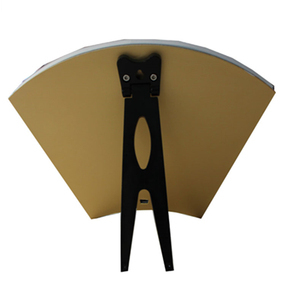 Original design Sizes, colors and materials can be made as per your requirements. 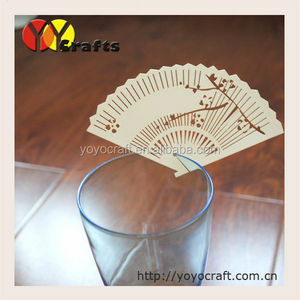 Product range We offer laser cut paper box, cupcake wrappers, Christmas decorations, place cards, felt coster and so on. Delivery time Fast delivery, it will be made as exactly order quantity. 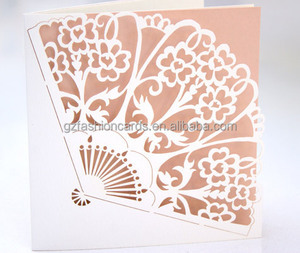 Alibaba.com offers 881 fan wedding card products. About 25% of these are paper crafts, 17% are wedding decorations & gifts, and 15% are event & party supplies. 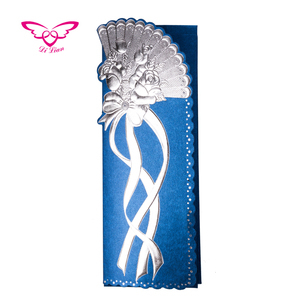 A wide variety of fan wedding card options are available to you, such as wedding decoration & gift, business gift, and holiday decoration & gift. 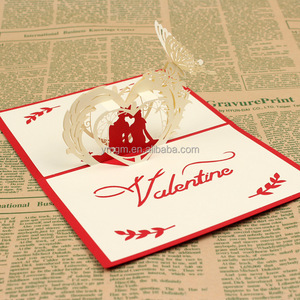 You can also choose from card, folded paper, and paper cutting. As well as from religious, artificial, and antique imitation. And whether fan wedding card is love, flower, or letters. 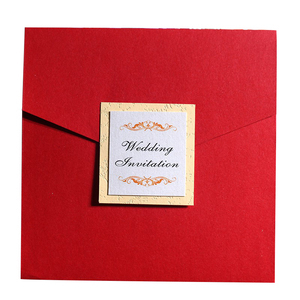 There are 881 fan wedding card suppliers, mainly located in Asia. 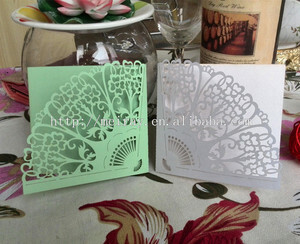 The top supplying countries are China (Mainland), Vietnam, and India, which supply 99%, 1%, and 1% of fan wedding card respectively. 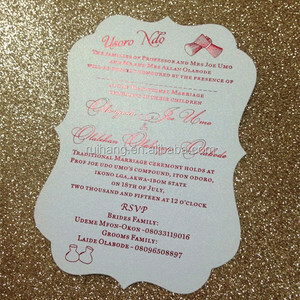 Fan wedding card products are most popular in Western Europe, North America, and Africa. You can ensure product safety by selecting from certified suppliers, including 248 with Other, 76 with ISO9001, and 25 with BSCI certification.